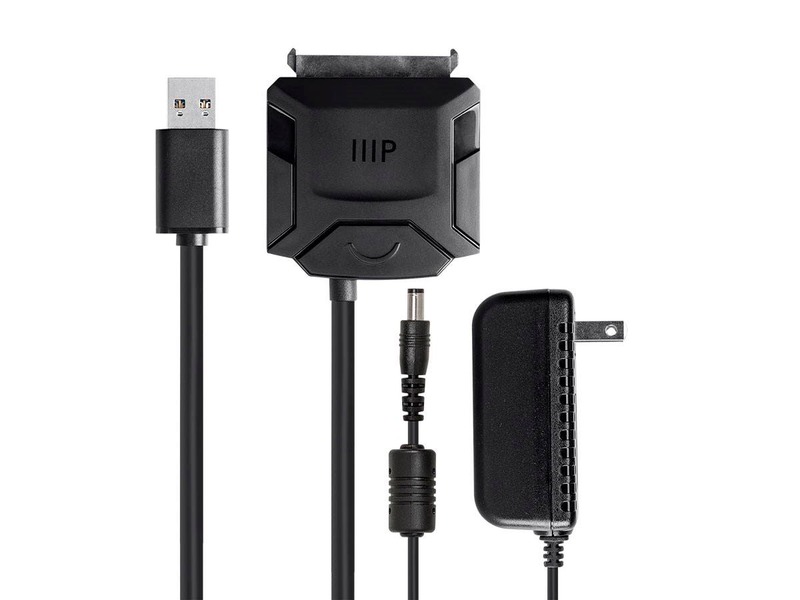 What is the amps or milliamps of the power adapter that is included? BEST ANSWER: It's about 2000 mA. 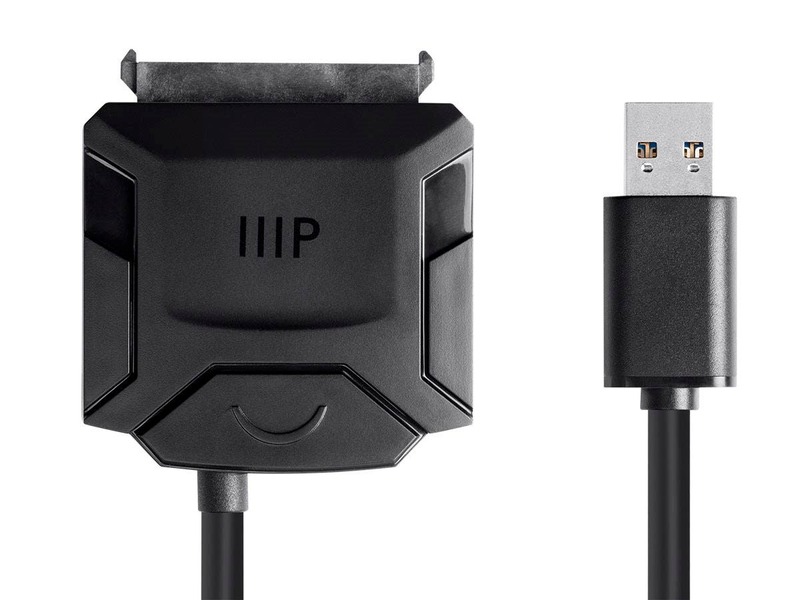 The power adapter will supply power to all 3.5 & 2.5 HDs, SSDs & Optical Drives with no problem. The AC Adapter is marked "OUTPUT 12V -- 2A"
I just looked on mine, it is 2000 mA. BEST ANSWER: The USB to SATA cable is 15 inches long. A power cable plugs into the SATA connection as well--that is 4 feet long. A foot end to end. What version of SATA does it support? The specs show USB side speeds & version, but neither for SATA side. BEST ANSWER: Hi, this product is built to SATA Rev 2.6 with 3.0Gbps data speed. What is the max supported hdd size? BEST ANSWER: Thank you for your question. This converter adapter would support any standard 2.5" SATA HDD or SSD, any 3.5" SATA HDD or any 5.25" Optical Drive. Just be sure to use the included power adapter if you are looking to connect a 3.5" HDD or 5.25" Optical Drive. Will this work with Linux? BEST ANSWER: I have successfully used this adapter with Ubuntu 16.04.
will this work with a western digital slim hard drive? BEST ANSWER: It should work with any drive that ha a sata interface. 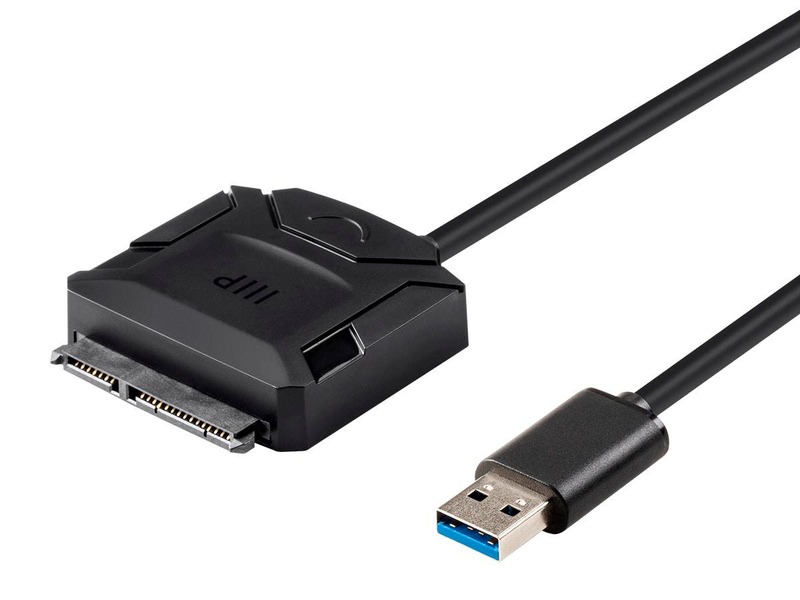 Does anyone have the procedure to use this cable to clone my laptop drive, so I can upgrade to a larger SSD? Nicely packaged and very well made. Did exactly what it was supposed to do with no issues! Works great on my smaller SSD drives but when I hooked it up to my 5 TB Optic drive (and plugged it in ) My Mac would not read the drive. All the information on the drive was generated on a Mac as well. I bought this mainly because it was supposed to work on the bigger drives. Works great~ I use it to add a dvd burner to my laptop which didn't have a drive in it. Works great and I would recommend. I use this mainly to recover data from hard drives in failed PCs. It is the easiest thing to use, just plug it up and the Windows 10 PC sees everything. Does exactly what it says it does. Cheapest price I found. My primary business computer crashed, and this cable saved me weeks of data re entry. My old hard drive in the dead computer became my new backup drive. Couldn't be happier! Purchased a Samsung 850 SSD and bought this cable to migrate my existing hard drive to the SSD. With Samsungs install program it was easy. Plus the price of the cable was amazingly low for the quality. Hello. 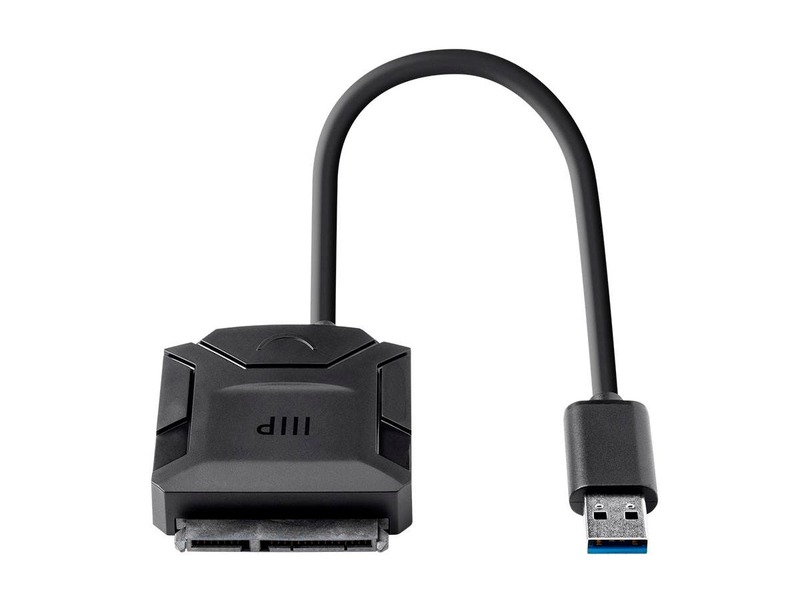 I bought one of these when I swapped out my hard drive on an older PC with an SSD. Samsung's software, for once, worked well and allowed me to migrate my data before opening up the PC and doing the swap. This cable worked like a charm. Other than having to reboot the PC once after I booted on the SSD (I got weird errors that went away after the reboot), everything was fine. I've only the cable that one time but I have it handy in case any friends want to do something similar. Recommended. This product works great. use it for salvaging data on old drives or for cloning existing drives..